Are you planning your next trip to Mount Isa, Queensland? Is it a long-delayed family trip or an important business tour? In either case, you must have planned the places you need to visit. But here are a few tips that you need to remember before you start your trip to ensure you have the smoothest travel experience. Plan your trip and make sure you have all the up-to-date maps necessary to guide you on your trip–it’s always a good idea to have an “A” and “B” plan. Book hotels for accommodation in Mount Isa, Queensland, Australia. Road conditions can change frequently especially during summer. During the summer, heavy rain can occur, causing minor flooding and possibly cutting off some parts. Sharing your itinerary with friends, family or company is always a good idea so they can keep track of where you should be and check in with them when you arrive at every point of destination. While travelling on major highways, fuel stops are rarely more than 200 km apart, so there may be no need to carry spare fuel… but if you happen to find a “no fuel” sign… that’s exactly what it means. Make sure you always travel with extra water, first aid kit, spares for tyres, radiator hoses, fan belts and a good tool kit! If you are on a trip with your family, there are plenty of hotels which are at walking distance from the main attractions in Mount Isa. If your company has sent you for a business or work assignment, Mount Isa has that covered too. 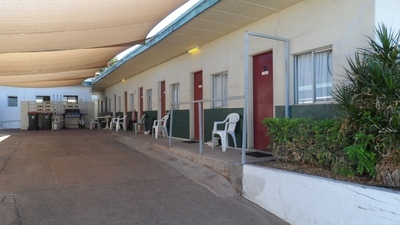 Hotels also provide worker accommodation in Mount Isa, with extendable check-outs and flexible rents. If you plan to camp, always contact the local Visitor Information Center, so you can get all the information about campfire locations, permits and laws. Always be careful when passing and overtaking road trains, heavy vehicles and caravans. If you need to overtake them ensure you have a clear line of sight and plenty of room (big trucks tend to move a little from side to side as you pass). If a road train is preparing to overtake you, move as far left as possible and if necessary, pull over to the side of the road to allow it to pass safely. The road edges tend to be soft/slippery under wet conditions, so be sure to drive carefully to avoid bogging. Always be aware that kangaroo and emu are a frequent sight when driving in the Outback in Australia. Stay alert during sunrise and sunset, as that’s the period the kangaroos tend to be more active. The summers on the outback are hot but far less humid than you would find between April and October along the coastline with the most temperate weather. However, no matter what season, always be armed with a hat and sunscreen. Now that you are equipped with all the information you need to on your trip to Mount Isa, get in the car and hit the road running! Why Are Bar Stools Considered To Be Impressive Pieces of Furniture? What are Some Good Co-working /Shared Office Spaces in Your City? What makes a coworking space successful? How to Choose Good Sublimation Transfer Paper? Why to opt for outdoor and custom based kitchens cabinets?